Hilary, Harry, Hume and me. Truth be told I’ve never really felt like a Heather. The name seems much more suited for a tall, leggy blonde on the beach than a short, dumpy bookworm with glasses. 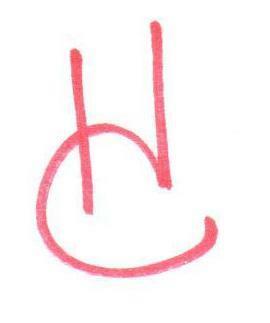 But while my name may not exactly fit my type, I have always been partial to my initials. 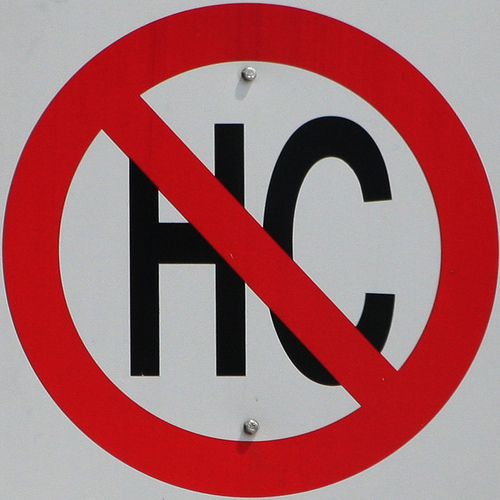 HC are really good initials. My feelings are still a little hurt though. I’m going back to the basics. I seem to have lost any desire to put my thoughts and feelings out into the blogosphere, so I’m going to start writing from prompts again. Prompts are impersonal. I can indulge in my introverted tendencies and still wrote blog posts from prompts. The only thing is I’m not going back to one thousand words. That’s just way too many. I was kind of insane to do one thousand words a day in the first place. Instead I’m just going to write a bit, see if I can get back in the habit. There is no female equivalent of the term ladies man. Think about it. “Ladies man” can have a slightly slimy, lounge lizard connotation, but underneath there’s a layer of respect. When someone is calls a guy a “real ladies man” there’s a little admonition and a whole lot of admiration. There’s no similar term for a woman who has a way with the men. All we have are “man-eater” and “flirt” and slew of synonyms for whore. Then there’s “one of the guys” which is certainly more complimentary but has a whole different meaning. This isn’t one of my pet issues. I like that Pantene labels ad well enough, but I didn’t jump on their bandwagon. And I actually think the new “ban bossy” movement is kind of silly. In my opinion, bossy is way down on the list of offensive names people could call women and girls. But it seems like in all fairness there should be a name for a female “ladies man,” one that doesn’t have overt sexual overtones or reduce the woman to a tease. And don’t suggest “gentlemens women” because that just sounds all kinds of wrong. I’d be good at tennis if it weren’t for the balls. I had my first tennis class last week. Yes, after years of being a couch-sitting tennis fangirl I actually got on a court with a racket in my hand. The local gym has a wonderful tennis facility and offers a short run of free “never ever” tennis classes, obviously in hopes that newbies will catch the bug and continue on with the paid lessons. The group is small, just four students. An older gentleman, me and two women who had definitely been on a court before. Compared to the old guy and me, they were practically the Williams sisters. We started out easy, learning the continental grip and the swing for a forehand… starting low, racket angled, following through over the opposite shoulder. I’ll admit, I got a little cocky. “I got this,” I thought as I swung my racket around on the side of the court. Then balls were introduced into the mix. We stood in a line on the side of the court as the instructor tossed balls across the net. She started with one close to where we were standing, then one to the center of the court and finally one on the opposite line. One of the Williams sisters went first. She hit neat forehands as she loped across the court. Sure they didn’t all land in the service box, or even in the court. But they all went over the net and she looked very athletic. The truth is I don’t have a lot of natural grace. I’ve never been agile, nimble or sprightly. 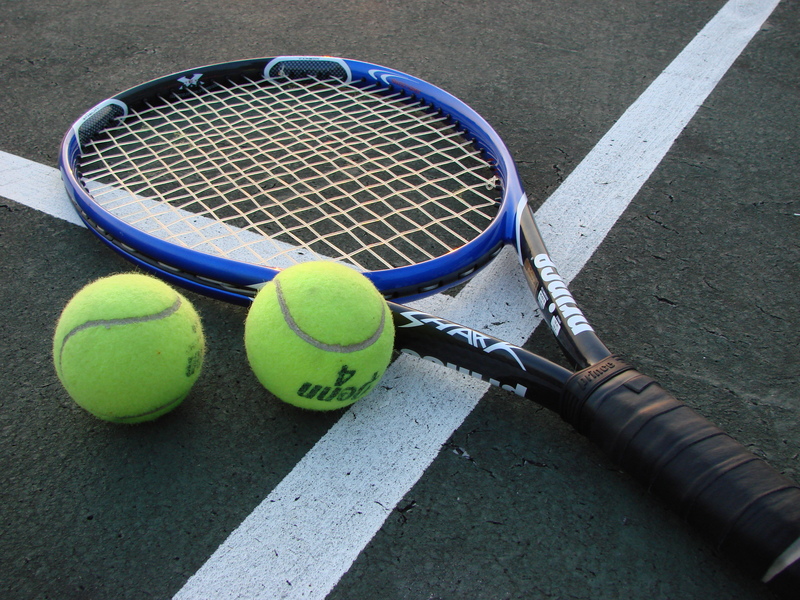 These are all qualities that are extremely useful to possess when playing tennis. The first ball came at me. I lunged forward, swinging wildly and forgetting all about my grip, follow through or which end of the racket was up. And of course I completely missed the ball. I recovered from my miss just in time to remember that I needed to move to the center of the court and take a few clumsy steps to my left. By some miracle I hit the ball, but I think it was pure luck. There certainly no technique involved. I traipsed over to the far side of the court, managing not to trip over my own feet, and hit the third ball. It sailed over the net, narrowly missing the instructor’s head before flying completely off the court. The peppy instructor jogged up to the net and gestured me closer. I had noticed that Venus (or was it Serena?) had calmly waited for the ball, which bounced nicely into the range of her racquet. I, on the other hand, was either on top of the ball and falling over backwards to avoid getting hit or stretching to reach it, almost falling on my face..
I’d like to report that I got better during the ninety minute session. That by the end of the class, the Williams sisters and I were rallying with ease, chuckling over my early attempts as we executed beautiful slices, lobs and volleys. We did rally, sort of. But there was no ease. At least not on my part. My attempts at the backhand were marginally better than the forehand. And with a little practice I was able to successfully maneuver the little drop hit move you use to get the ball into play about 80% of the time. But it was clear that there is no Roger Federer in my blood. On my way home that night, I realized that this class is the first time I have every voluntarily participated in a sport. I not only participated, I had fun and I’m going to go back. So even though I don’t see a tennis career — or even low-level amateur competitions — in my future, the class has already been a huge success. Last week I got a surprise and very thoughtful gift in the mail from my friend, Nan: a Fitbit. If you’re not familiar, a Fitbit is kind of a fancy pedometer that keeps track of the steps you’ve walked, stairs you’ve climbs and calories you’ve burned each day. I’ve quickly become addicted to my Fitbit. Making sure I reach my goals every day, even hopping back on the elliptical before bed if I haven’t gotten in enough steps during the day. It’s a fun way to make sure you’re staying active. I’m afraid there’s a side effect to the Fitbit, though. It’s encouraging my OCD tendencies. Ok, I’m not officially OCD. I don’t have to touch the light switch sixteen time. But I am a counter. I count the cars going by when I’m trying to fall asleep. I count the steps I take on the elliptical when I work out every morning. I count mile markers when I’m driving long distance. And now, thanks to my Fitbit, I count my steps when I’m walking. “I wonder how many steps I’m getting when I run out to the post office,” I think. And instead of checking the counter, I count. I’m like a human Fitbit. I still love my Fitbit. I just need to figure out how to turn off the counter in my head! Rage, rage against the monotony of February. This time of year I get extremely tired of my routine. And I go to work. Every freaking day. The tediousness of it all drives me mad! Just once I’d like to stay in bed for an extra half hour without feeling guilty about it. Or leave the house at 8:05 instead of 7:50 without feeling like I’m late for work. Or buy a cup instead of bringing it from home without feeling like a spendthrift. But I don’t do any of those things. I use the elliptical, blow dry my hair, eat my bowl frosted mini wheats and repress my rage at the monotony. Then spring comes and everything is good again. If spring failed to arrive some year, I think my head my explode. I recently saw the movie Blue Jasmine and really enjoyed it. Cate Blanchett was quite brilliant and her portrayal of title character’s disintegration was fascinating to watch, in a car wreck kind of way. Plus you simply can’t go wrong when Bobby Cannavale is in a cast, even if he’s playing a rather jerky grease monkey. But with Woody Allen’s recent (and past) problems / indiscretions / crimes / whatever you want to call them everyone seems to be piling on the bandwagon to dis the director and his films. Suddenly his movies are crappy, even though before he married his step daughter and was accused of child molestation they were considered genius. As a longtime fan of Guns N Roses, I’ve gotten used to separating an artist’s work from their bad behavior. Every time Axl Rose stalked off stage mid concert, or said something misogynistic, racist or just plain stupid, I’d find myself defending my enjoyment of their music. “I don’t have to believe what they believe in order to listen to the songs,” I’d say. And I still believe that you can consume the art without endorsing the artist. I know the arguments… If you buy the music or go to the movie, you are providing the artist with financial support, thus offering a form of approval. But aside from the fact that my cd and ticket purchases hardly provided Axl Rose or Woody Allen with great amounts of income, it’s frankly none of my business how they spend their money. There are companies all over the world with offensive practices, things we can’t even begin to imagine, and we still give them their money. Who hasn’t bought gas at an Exxon station? Does that mean you supported their actions after the Valdez oil spill? How many people had their money with Lehman Brothers with no idea about their shady practices? Does that mean they were tacitly complicit? Why should art be different? Art can certainly be more personal than oil or investment banking both on the side of the seller and the buyer, but it’s still a business, a product. And even bad companies can build good products. Are the charges against Woody Allen disgusting and disturbing? Yes. But what he does away from the camera doesn’t change the quality of his work. The art stands on its own. On the show hosts Bob Boilen and Robin Hilton with Stephen Thompson and Carrie Brownstein made their picks for worst songs in several categories. I agreed with some of their choices and disagreed with others (“No Rain” by Blind Melon is a damn fine song, Carrie Brownstein!) but either way, I was inspired to make my own contributions to the lists. I don’t mind most 80s music. In fact, I like it. The drum machines and synthesizers that a lot of people complain about don’t bother me a bit, probably because they were cool back when I was trying to be. But this is a stupid, synth-ridden song with inane lyrics. I read online (ok, on Wikipedia but I believe it) that the name of the song came about when Phil Collins was improvising lyrics to a drum machine. Guess that explains why they are so asinine. Sussudio isn’t a word or a name, for crying out loud. If you have a minute, check out the “good” reviews of the songs on its Wikipedia page. With praise like “catchy gibberish” who needs criticism? Once I hear this awful song it is, unfortunately, stuck in my head for days. I guess 1985 was a bad year for music. While I’ve never been a huge Whitney Houston fan, I can sit through most of her music. I even like a couple of songs. But this has got to be one of the most self-important songs ever written. Self-reliance is a good thing. And there’s nothing wrong with bringing proud of yourself, but do you have to sound so preachy about it? Music has always been an important part of my life, but for some reason I can’t think of a single song that reminds me of a bad time or that has turned sour because of a particular association. I’m sure there’s one out there and when I come up with it, I’ll post. But for now I’m going to have to pass on this category. Who thought it was a good idea to make a parody of the longest, most annoying Christmas carol ever? From the Archie Bunker sound alike to the sexist husband/wife dynamic to super annoying, super whiney kid, I hate everything about this song. It may only list twelve pains but it causes me many, many more. Just the name Taylor Swift causes me to roll my eyes. I do not understand the appeal of this chick. Her songs have no depth — bad pop-country filled with trivial teenage angst — and she comes across just as shallow. I never thought I’d say this, but I’d take Miley Cyrus and her tongue any day. At least she’s interesting. This is a pretty good song and I liked it the first time I heard it. And the second. Even the third. But the fiftieth and hundredth time it was on the radio, I was ready to throw something. Now every time it comes up, I turn the radio off. I know that artists strive to have their songs heard, on the radio, on line, anywhere it can be played. But when you hear a song almost every hour, it tends to have the opposite of the desired effect. A close runner up in this category was “Roar” by Katy Perry. I tend not to like most Katy Perry songs but all the well-intentioned viral videos made this my least favorite.